US-based Agilent Technologies Inc recently launched a high performance turbo-molecular vacuum pump, TwisTorr 304 FS, which is the first in a new series of high vacuum pumps featuring the company’s novel floating-suspension technology. Agilent says this technology can be used in a variety of applications and markets, including academic and government research, and the analytical, industrial and nanotech/semiconductor industries. 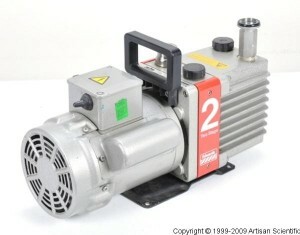 Running at 60,000rpm, it pumps up to 250L per second for N2. It also provides dramatic improvements in reliability and increases light gas compression ratios 100-fold. TwisTorr drag stages guarantee high pumping speed and compression ratios for hydrogen and helium. The pump also provides high throughput and high foreline tolerance, as well as low power-consumption and operating temperature, according to the company. Coupled with the same performance as the company’s existing line of patented TwisTorr solutions, the new system’s breakthrough floating-suspension technology ensures low vibration and acoustical noise, optimal working conditions for the bearings, extended operating life, and exceptional stability for demanding applications and instruments such as scanning electron microscopes. The product also features a compact rotor design that reduces power consumption and system footprint. Its unique bearing and dry lubricated suspension system is maintenance-free, eliminates oil and risk of contamination, and permits installation in any orientation. The new TwisTorr 304 FS will be available in January.